We get it. Beating the habits that we love (but which don't love us back) is tricky business, especially when said business involves forgoing the fizzy, addictingly delicious fix of a refreshing soda pop. While there's a time and place for every indulgence (hey, if your movie theater experience just isn't complete without a Diet Coke, go ahead and buy the damn Diet Coke), loading up on soda isn't the best move you can make for your health. It won't kill you, but as you've likely heard, the classic carbonated beverage isn't exactly great for you—especially, if you're drinking it regularly (aka more often than that once-every-so-often movie date). In fact, as integrative nutritionist Sam Franceschini explains, the highly processed sugars we slug down by way of soda have an even more intense effect than gobbling down a super-indulgent dessert. "Although soda might be lower in calories than other sugary treats, the liquid sugar calories are not optimally registered by the brain and can store in the liver as fat," Franceschini says. Over time, she continues, this can contribute to non-alcoholic fatty liver disease and might ultimately compromise optimal liver function, inhibiting our body's natural filtration system. Eek. And unfortunately, that's just the tip (or should we say sip?) of the iceberg where soda's downsides are concerned. Luckily, many Americans are becoming increasingly aware of soda's dark side, and we're getting better about trading in our favorite cans and bottles in favor of other options. That said, according to a new study based on a continuing national health survey, over 60% of children and 50% of adults drank a sugary beverage on any given day in 2014. Granted, this statistic was down and an improvement from almost 80% of children and 61% of adults in 2003, but that's still a lot of fizz, folks. Ahead, we're tapping two nutritionists for more information on soda, from the impact on our body and health to their expert-approved strategies for curbing our cravings. Keep scrolling to find out how to stop drinking soda once and for all. 'Tis the season for new beginnings, right? As we mentioned, we're not into shaming any type of food or labeling foods as "good" or "bad" in a black-and-white fashion. That said, soda is pretty much undesirable number one on every nutritionists' naughty list, so we thought we'd investigate why, exactly, soda maintains a notoriously negative reputation. "Soda is like a sugar injection for your body because it is, in fact, liquid sugar," holistic nutritionist and founder of Kore Kitchen Meryl Pritchard explains. "Most sodas list high-fructose corn syrup as one of their main ingredients, which is a harmful artificial sweetener derived from corn which might cause diseases like diabetes and metabolic syndrome while simultaneously accelerating the aging process, deteriorating your teeth, and weakening your immune system." Plus, she continues, soda is filled with empty calories and devoid of any kind of real nutrition. It's also highly addictive, as just one can contains around 40 grams of sugar—an intense dosage that exceeds the recommended amount of sugar per day. What Makes Quitting So Tricky? According to both Franceschini and Pritchard, this pretty much comes down to the sugar factor again, And if your soda of choice also contains a dependence-inducing hit of caffeine, that just exacerbates matters. "Studies have shown that sugar can be more addictive than cocaine," Pritchard shares. "However, soda is also very tempting and accessible, and you can find it in almost any restaurant or food store around the world. Plus, many of us are introduced to it at a very young age, so it can easily become a comforting norm." Of course, to play devil's advocate, some health professionals warn against the fearmongering often associated with Americans' relationship with sugar and argue how "addicting" and "inflammatory" sugar really is. Our verdict? It's probably best to avoid or limit your intake, but please don't fear sugar, especially if it's coming from natural and/or whole-food sources like fruit, raw manuka honey, pure maple syrup, etc. Balance is everything, right? "Stress and sugar are like macaroni and cheese or peanut butter and jelly—with one typically comes another," explains Franceschini. "In order to stop drinking soda and craving sugar, it's equally important to minimize your stress level and/or evaluate how you manage stress. Quitting soda and sugar cold turkey may not feel realistic to some, and that's okay! I recommend setting attainable goals for yourself and slowly weaning yourself off, which will set you up for more success in the long run." According to Franceschini, if you're drinking soda every day, try initially cutting your weekly consumption down to three or four days and then down to two or one until you're no longer missing and craving it. Oh, and if you are having a sugar craving that's relentless in strength, don't ignore it altogether; just try reaching for something that's more nutrient-dense than your old bottle of soda was. Berries, apples, dates, or a piece of dark chocolate are a few of Franceschini's favorite options, as they won't spike your blood sugar, instigate weight gain, or stress out other organ systems. Another tactic? Simply replace your soda habit with something that provides a similar fizzy sensation or flavor but without the negative side effects of soda. "Try to find a healthy alternative, be mindful when putting anything into your body, and focus on hydrating your body with water, coconut water, juice, etc.," adds Pritchard. "Even switching to a beverage with less sugar in it will be beneficial since soda is so high in sugar." Curious to know the exact soda substitutions both Pritchard and Franceschini personally recommend? Keep scrolling! "It's important to recognize what part of soda you find so addicting," Franceschini points out. "Do you like the carbonation? Try introducing kombucha, a bubbly probiotic-rich drink that is great for the gut and has a natural carbonation from the fermentation process. This one from GTS tastes like root beer… not kidding." If you crave soda's sugary flavor, however, sparkling water with a pinch of fruit juice (not from concentrate) is another excellent solution, according to Franceschini. She likes this brand which makes cold-pressed juices like cranberry, pomegranate, and cherry, which are all high in antioxidants. However, a word to the wise: Fruit juice is still high in sugar, which is why she recommends diluting the above with a hydrating, carbonated glass of sparkling water. "Use just a splash in some sparkling mineral water and you have yourself your very own mocktail," Franceschini concludes. "A canned soda beverage full of prebiotics to benefit gut health but without all the less-healthy stuff that comes with traditional sodas like Coke or Pepsi," says Pritchard. 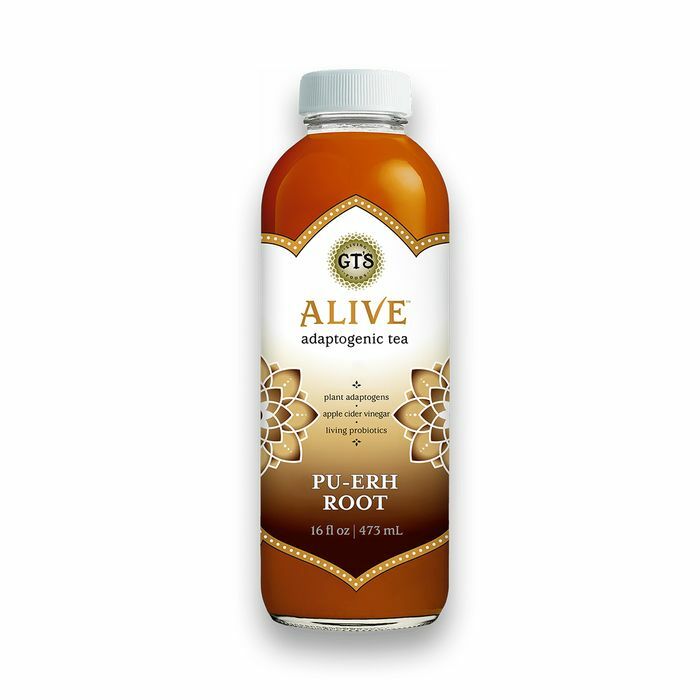 "It's sweetened with a little Stevia, and all the flavors are natural. The best part is it tastes just like its sugar-laden counterparts. Right now, they have three flavors—Strawberry Vanilla (my personal favorite; it tastes like cream soda), Cinnamon Cola, and Ginger Lemon. All of them are amazing." "Kombucha, in general, is what I usually recommend for people who want to stop drinking soda," Pritchard explains. "It's fermented, which will satisfy your craving for something bubbly, but it's not sweet. It comes in a variety of flavors and is easily accessible and affordable. It also doesn't hurt that it feeds your gut too."